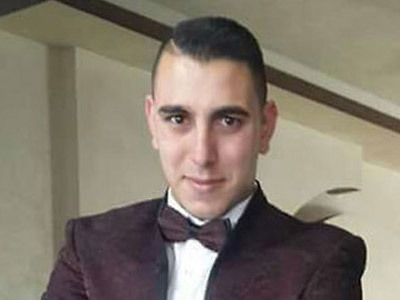 Nov 19, 2015 - Shadi Arafa, 24, of Hebron, was one of three people killed when a Palestinian terrorist opened fire with a submachine gun at cars in a traffic jam at the Alon Shvut junction, south of Jerusalem. Shadi Arafa, who worked as a sales representative for the Palestinian cellular operator Al-Wataniya, was on his way home from work when he was killed in the attack at the Gush Etzion Junction. His body was transferred to the Al-Ahli hospital in Hebron, where he was buried. Despite the fact that Arafa was killed by the gunfire of an Palestinian terrorist, official PA sources issued a statement claiming that he was killed by IDF forces. The terrorist was taken into custody by Border Police officers unharmed.